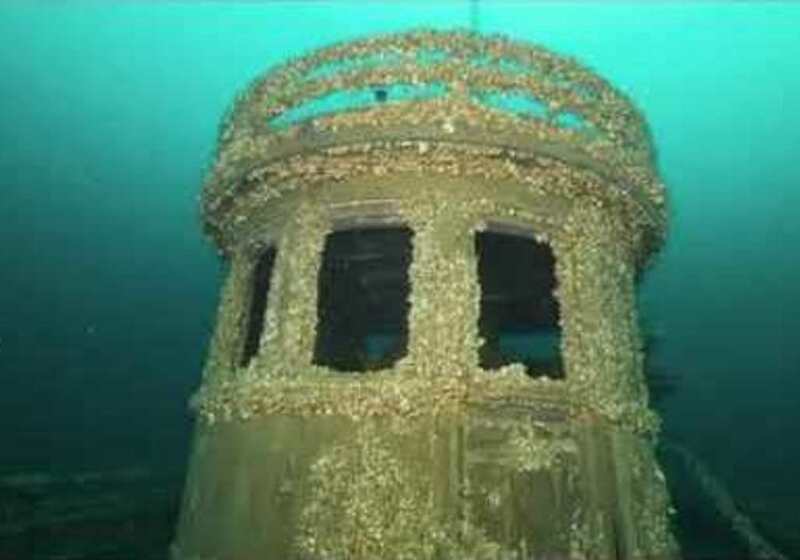 The Manasoo, a 178-foot steamer that sank in Georgian Bay on Lake Huron near Ontario, was discovered by an international dive team earlier this year. The Manasoo sank in a heavy storm on September 14, 1928, and 16 people and 116 head of cattle perished in the incident. After some 90 years underwater, the wreck was discovered to be rather well preserved. And it was found to have carried a car onboard: a still-intact 1927 Chevrolet coupe. The Detroit Free Press, which reported on the discovery, called the Chevy a muscle car, yet "mussel car" would be more apt after all this time sitting 200 feet deep on the lakebed. The Chevy was originally brought onboard the ship by Donald Wallace, a cattleman, who was the only passenger to survive the sinking (along the the captain and three crewmen). The Series AA car with a 2.8-liter four-cylinder engine probably survived as well as it has thanks to being submerged in cold lake water, not seawater — Great Lakes shipwrecks are typically well-preserved for that reason. The Chevy is likely to continue its watery slumber for some time, as no plans have been announced to extract it from the vessel that took it to the bottom of the lake. The story of the Manasoo can be heard on this diving video, with 1982 audio narration by the then-last living survivor of shipwreck, Dr. Arthur Middlebro, who was the ship's purser.